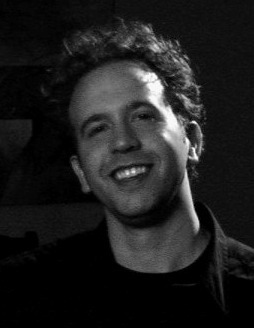 Ben Churchill is a producer, director, and editor of documentaries and digital series. In addition to creating content under his company Radio Trip Pictures, Ben is also the Head of Production for TV4 Entertainment in Los Angeles, CA. At TV4 Entertainment, Ben produces short and feature length documentaries, docu-series, and talk shows created for networks focused on specific genres like boxing, motor-sports, and the military. Recent titles include Bob Marley: Giant, a short documentary about Dennis Morris who was the photographer for Jamaican reggae singer-songwriter Bob Marley during the 1970s, and Golovkin Uncensored & Countdown To Golovkin vs. Brook about middleweight champion Gennady “GGG” Golovkin’s career in boxing. Productions under Radio Trip Pictures include Video World, a short documentary which explores the dying culture of movie rental stores, Toy Place, a short documentary about the family behind the Vermont Toy Museum and their collection of nearly 100,000 toys, and Drag King, about the life of a drag king – a female-born person who dresses masculinely for performance. Ben also produced and directed the Blind Film Critic and The Tommy Edison Experience series on YouTube and Amazon. The shows featured Tommy Edison, who has been blind since birth, bringing a unique perspective to watching movies, using humor to answer the most popular questions about living without sight, and facing challenges that test his other senses. More about The Tommy Edison Experience at blindfilmcritic.com. In 2010, Ben produced and edited the feature length documentary No Kidding, Me 2! starring and directed by Joe Pantoliano (The Sopranos, The Matrix, Memento) which aired on PBS and is now available on Amazon and iTunes. The film examines the stigma that surrounds mental illness and how we can overcome it. 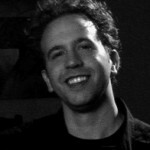 Before making documentaries, Ben was a producer and on-air personality on the radio for over 10 years, and the Production Director at the American Comedy Network producing daily comedy segments for morning radio shows across the country including The Howard Stern Show from 1999-2006. Ben also produced the weekly-to-monthly comedy variety show, The Radio Trip, for 9 years which featured stand-up comedy, clips from movies and television, and classic comedy sketches. Follow Ben on Facebook, Twitter, Instagram, and YouTube. Complete filmography at IMDB.